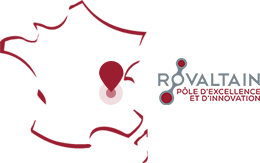 Created out of the desire to bring the companies operating in Rovaltain together and participate in the development of this area, the Club du Parc is a group of over 50 companies and 1,000 employees. The association is part of a momentum complementary to that initiated by Rovaltain and works to introduce shared solutions meeting common needs of companies such as services, events and inter-company training. Breakfast on the 1st Friday of each month to allow companies to meet and talk over coffee and pastries. An annual inter-company meeting has for the last three years brought together 200 employees and heads of member companies around sports challenges such as football, petanque, zumba and racing, and some quality time with a drink and a meal. Helping with the organization of the Matinales de Rovaltain and participation in regional, departmental and local events as a partner: mobility challenge, disability week, etc.